The Hemlock Restoration Initiative is honored to take part in the Zahner Conservation Lecture Series this summer! Since the 1930’s this series of talks from well-known regional scientists, conservationists, artists, and writers have served to educate and inspire the public. The series is made possible by the Highlands Biological Foundation, and from donations from numerous individuals and local organizations. 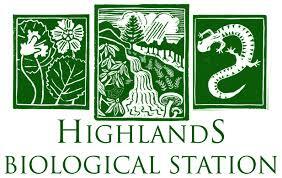 The public is invited to participate in these free lectures, which will be held each Thursday evening at 6:00pm at the Highlands Nature Center at 930 Horse Cove Road in Highlands, North Carolina. On Thursday August 9th, Sara deFosset, Outreach Associate for the HRI, will be talking about the decline of hemlocks in the Southern Appalachians due to the invasive pest, hemlock woolly adelgid (HWA), and how organizations like the Hemlock Restoration Initiative are responding to the crisis. Sara will discuss new research findings and describe updates to hemlock management protocols, in addition to highlighting work that has taken place in the Highlands area. This talk gives reasons to be hopeful about the long term health of native hemlocks in our area and describes how everyday folks can get involved in forest health and hemlock conservation. For more information about this event and to see the full schedule of 2018 Zahner Conservation Lectures please visit the Highlands Biological Station website.